Go Metro and enjoy FREE visits to the art gallery! 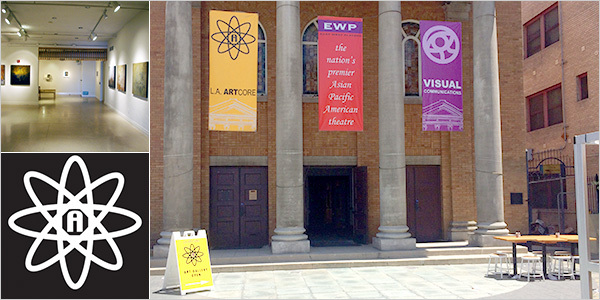 LA Artcore is a not-for-profit organization and art gallery dedicated to advocating the exchange of local, regional, national and international contemporary art of all kinds. We hold over 24 exhibitions per year in two exhibition spaces (Please see Artcore Brewery Annex), through regional and international exchange programs and educational programming. We present revolving art exhibits every month. We produce contemporary art exhibits and host reception parties for each artist’s exhibit. Come by and check out the fabulous art work by talented artists from near and far. It’s always FREE to the public! Mention “Metro” or “Regional Connector” or show this page on your smart phone! L.A. Artcore Center is located at 120 Judge John Aiso St, only a block from the Little Tokyo/Arts Center Station.